WASHINGTON — The Defense Department has awarded a nearly $1.4 billion contract for MD-530F Cayuse Warrior attack helicopters for Afghanistan. The contract was awarded to MD Helicopters to procure an estimated 150 MD-530F Cayuse Warrior attack helicopters, according to a DoD contract report release. The Afghan air force already boasts 27 MD-530Fs, according to latest figures from the Special Inspector General for Afghan Reconstruction, or SIGAR. Thirty new MD-530Fs were already slated to arrive in Afghanistan over the next couple of years as a result of approved funding from Congress earlier this year to the tune of nearly $814 million. That aid to Afghanistan is aimed at boosting the fledgling air force’s offensive capability. Those funds will also support the procurement of 53 UH-60 Black Hawks, six more A-29 Super Tucano fixed wing close attack aircraft, and five armed AC-208 Combat Caravan fixed wing aircraft, according to a report from Military Times. With the first delivery expected in about 21 months, will it be too little, too late? In total, the Afghan air force will receive 159 UH-60 Black Hawks over the coming years to replace the aging lumbering Russian Mi-17 transport helicopters. However, the procurement of the Black Hawks is contingent on Congressional approval of funds each year. Furthermore, Afghanistan will receive its first armed version of the AC-208 early in 2019, according to Lt. Col. Michael Andrew, a spokesperson for the Pentagon. Those aircraft will be armed with precision guided rockets, he added. The Afghan air force is currently fielding 24 C-208s — an unarmed version of the Cessna fixed wing aircraft — according to SIGAR figures. The Afghan air force has used those for transportation and surveillance. Before lawmakers in February, Gen. John Nicholson — the commander of U.S. forces in Afghanistan — told Senators weary of the drawn-out conflict that boosting Afghanistan’s capabilities would help break what he described as a stalemate in the nearly 16-year war. Afghanistan’s offensive capabilities are vested in its nearly 17,000 strong special forces and the country’s air force, according to Nicholson. Afghan President Ashraf Ghani is currently restructuring the country’s air force and its commandos, according to a defense department budget document justifying yearly assistance to Kabul. Ghani’s goal is double the size of the Afghan special forces and to strengthen the air force over the next several years. 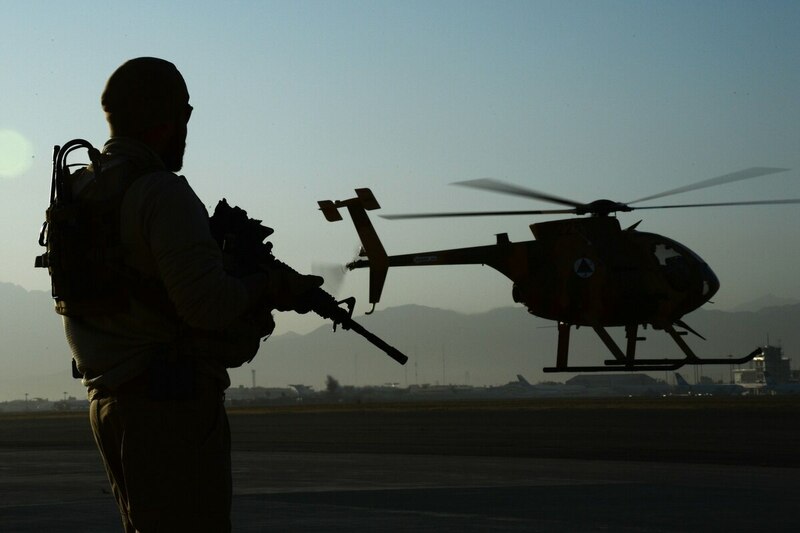 The contract to procure the 150 MD-530s highlights continuing U.S. and Afghan efforts to prioritize the country’s air force amid a growing Taliban insurgency ravaging much of the country.